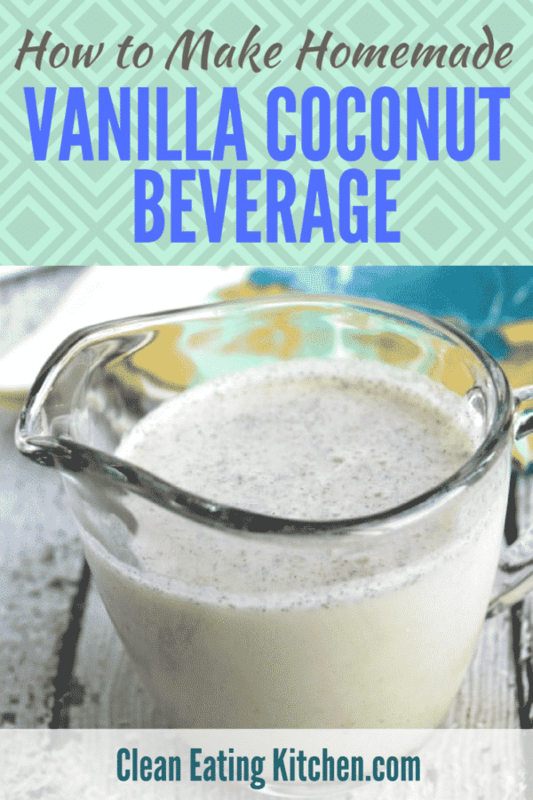 This Vanilla Coconut Beverage is easy to make and is a dairy-free, date-sweetened healthy option. Use it in your coffee or on cereal. I’ve been experimenting with making different types of non-dairy milks lately. My long-term fave has been Homemade Unsweetened Almond Milk using raw almonds, but, as it is with everything in life, it’s good to get some variety. 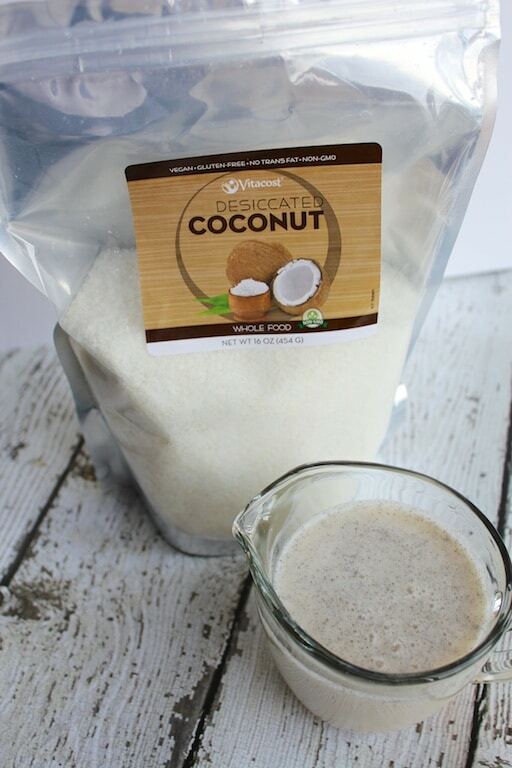 One of the easiest alternatives I’ve made so far is Coconut Milk Beverage which is essentially water blended with dried unsweetened shredded coconut and then filtered using a nut milk bag. So simple! 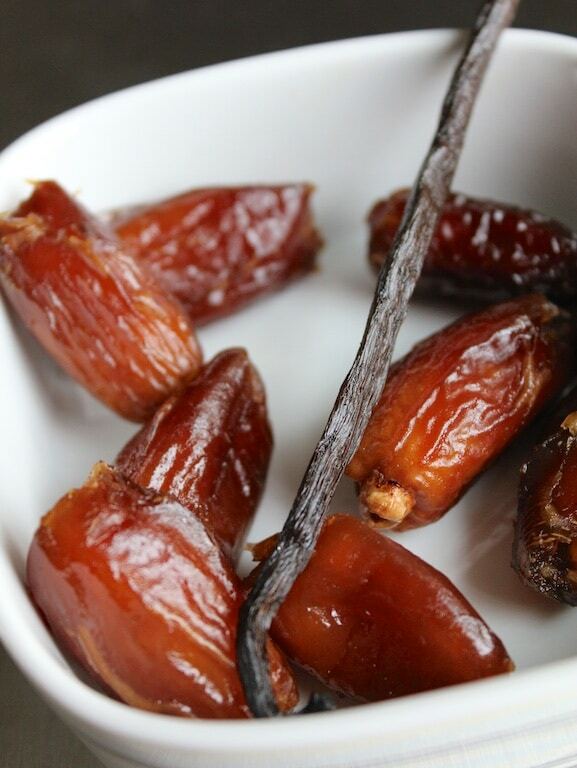 I also really like making a vanilla, date-sweetened version that adds that extra bit of awesomeness when the milk is then used in recipes like my Kukicha Coconut Latte. 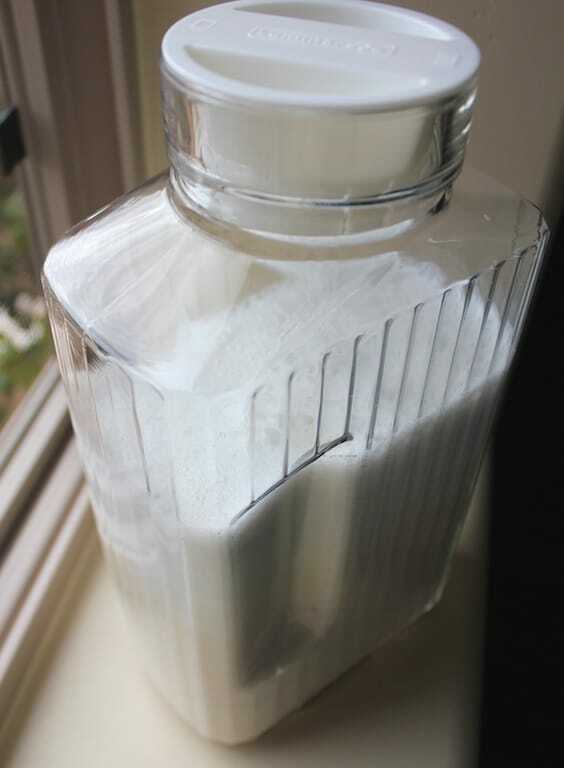 I start my Vanilla Coconut Milk recipe with unsweetened, dried shredded coconut. 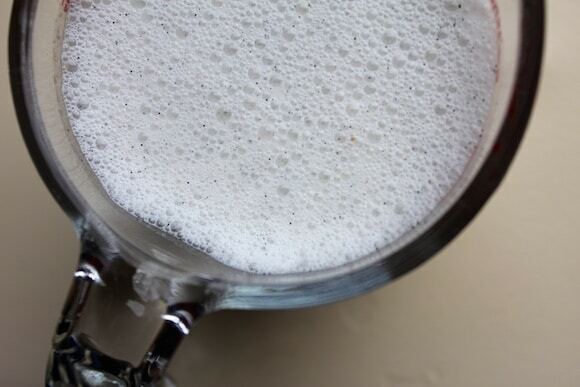 Combine the coconut and hot water in a high-speed blender. Process for 20-30 seconds or ingredients are well combined. 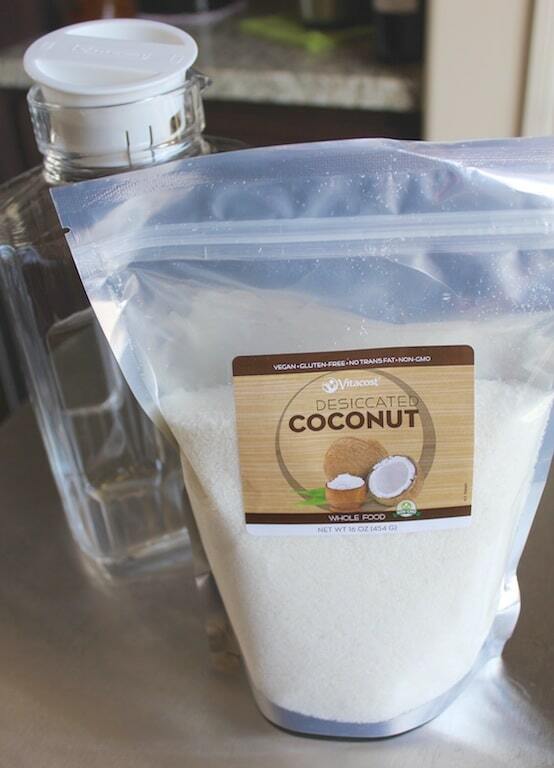 Pour the coconut mixed with the water through a nut milk bag into a large bowl. Using caution not to burn yourself, squeeze the milk through the bag. Discard or save the pulp for another usage. 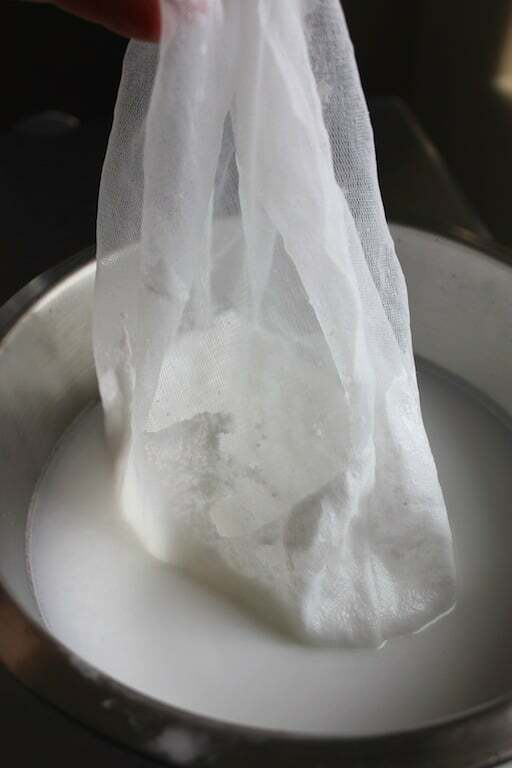 Pour the milk back into the blender and set aside. Use a paring knife to cut the vanilla bean open down the middle. Use the edge of the knife to scrape out the vanilla beans, slowly sliding the knife from the top to the bottom of the pod. Use your finger to carefully add the vanilla beans to the blender. Throw away the vanilla pod. Lastly, add the dates to the blender and re-process on high for 30 seconds to one minute or until the dates have broken down. 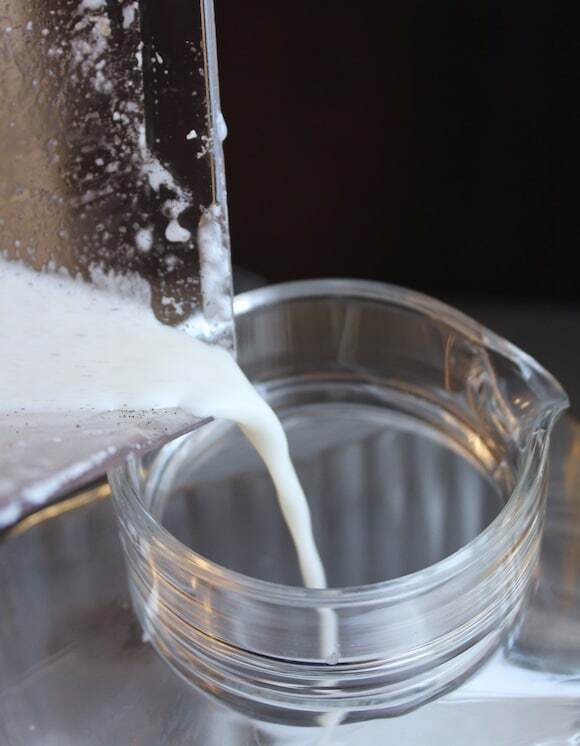 Pour the milk into a glass container to be stored in the refrigerator (up to 5 days) or use it immediately in recipes calling for non-dairy milk. 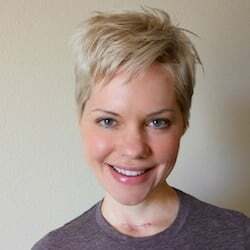 Also, I gotta give credit to Katie over at The Wellness Mama for her original recipe on making homemade coconut milk. 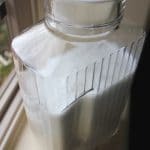 Lastly, you might want to read this article from Chris Kresser with some cautions for why coconut milk might bother some people. 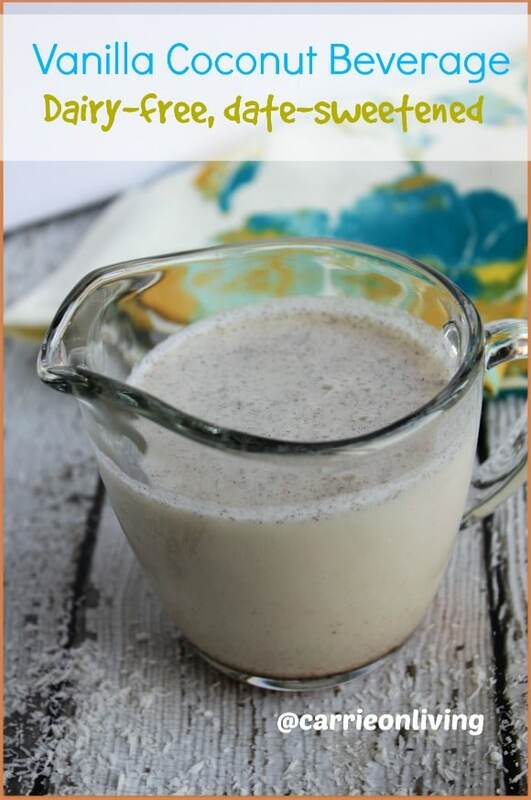 Be sure to pin this Homemade Coconut Beverage recipe to save it for later! This sounds delicious! I would add some carob/cacao powder as a chocolate fan as I am! looks delicious! What’s the purpose of using hot water versus cold water like most nut milks call for? thanks! Hey, Jill! Great question. I’m guessing because the coconut is dried and it helps it blend easier. 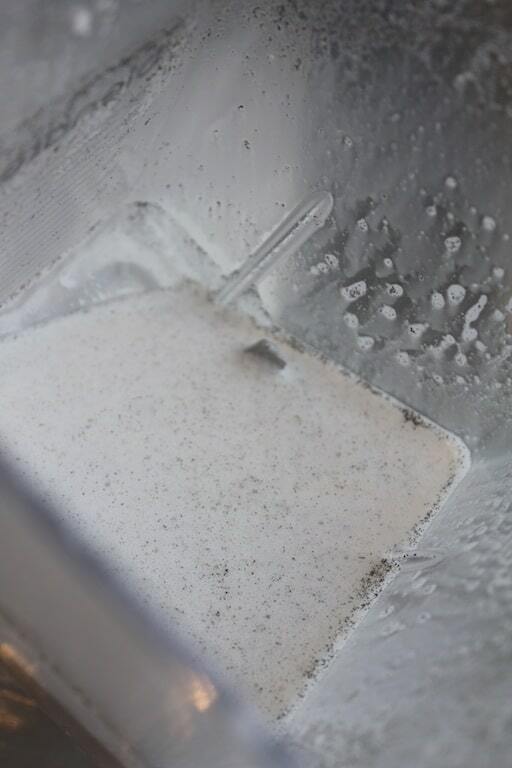 I’ve tried it both ways (room temp and hot water) and I think the milk was a little richer when I used hot water, but I don’t think it’s a necessity.